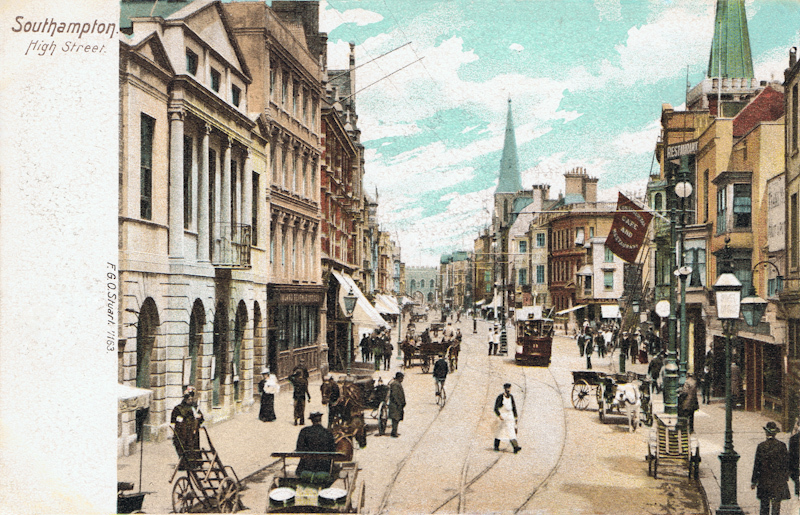 This view of Western Esplanade and the Town Quay must have been taken in 1913 or later as the Mayflower Memorial erected that year can be seen. Much of the water area visible next to the Town Quay has been reclaimed and is now the site of the Red Funnel ferry terminal. The road is now a busy thoroughfare and no longer offers the quiet seaside experience this picture seems to indicate.